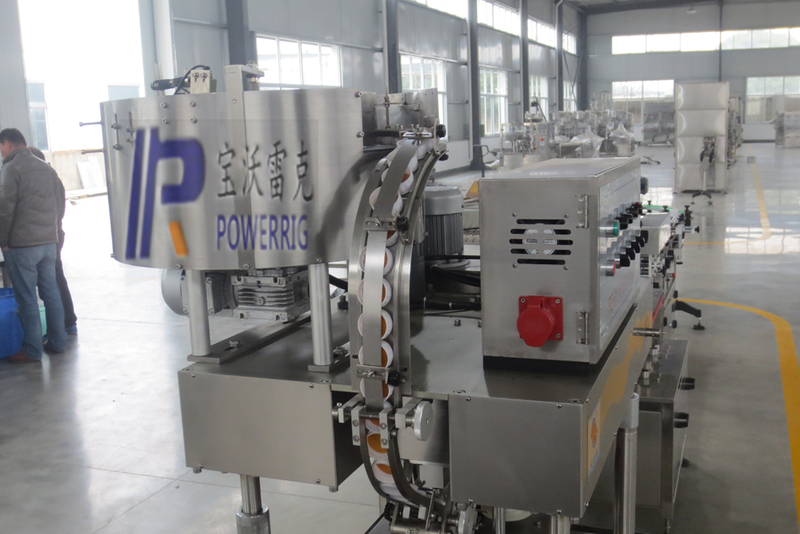 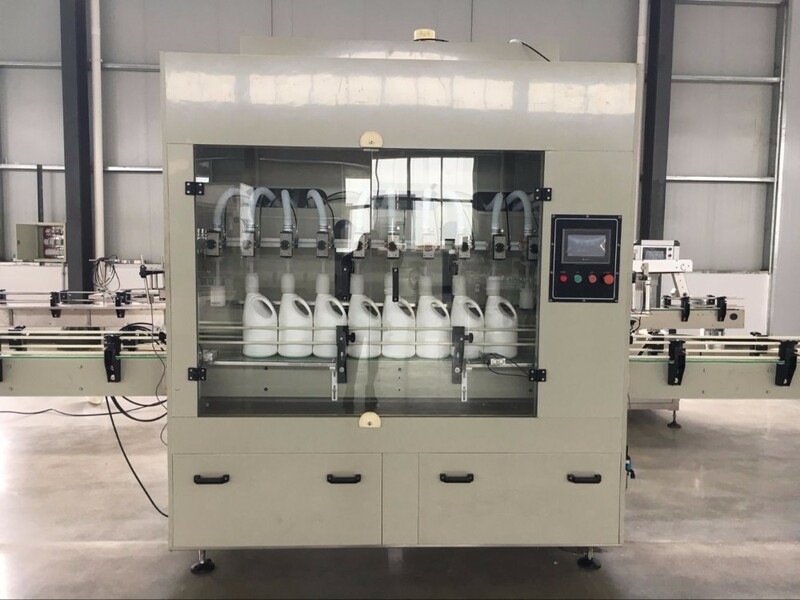 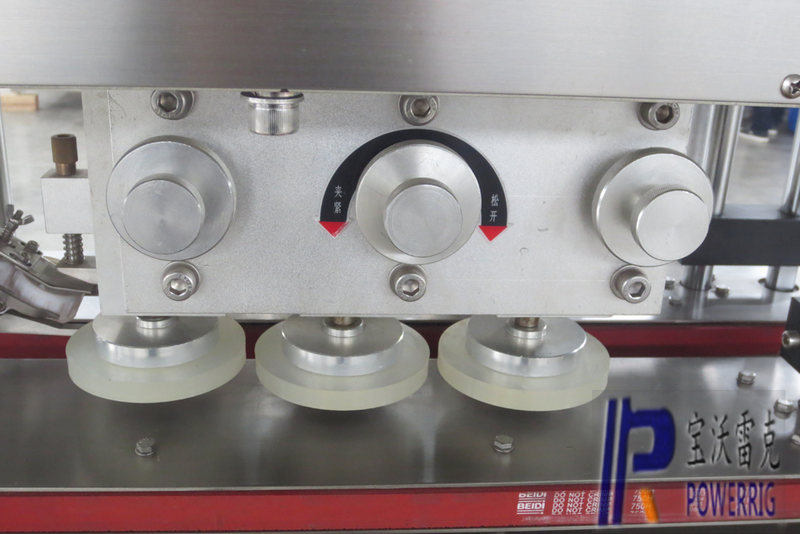 The bleach filling machine is often used for filling free flowing, non foaming, non flammable chemicals because of lower relative capital cost and flexibility of container size and geometry. 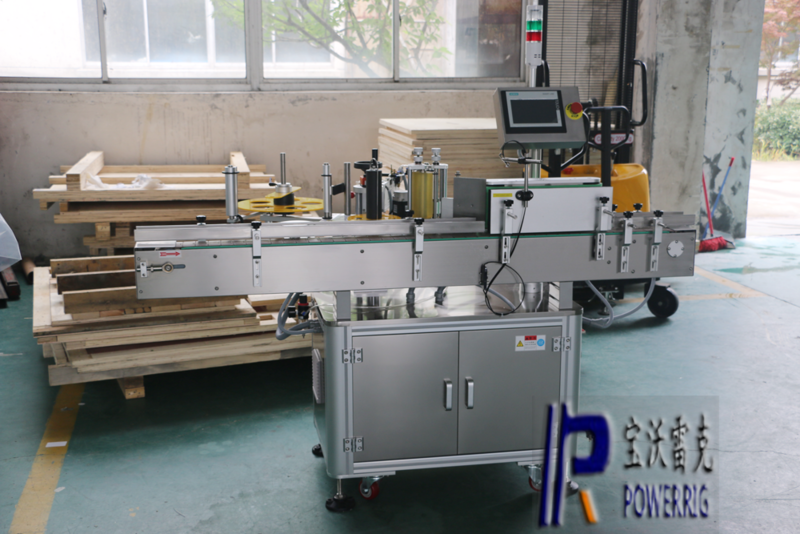 These machines can be used to efficiently fill both containers with smaller openings as well as large bulk containers with large openings. 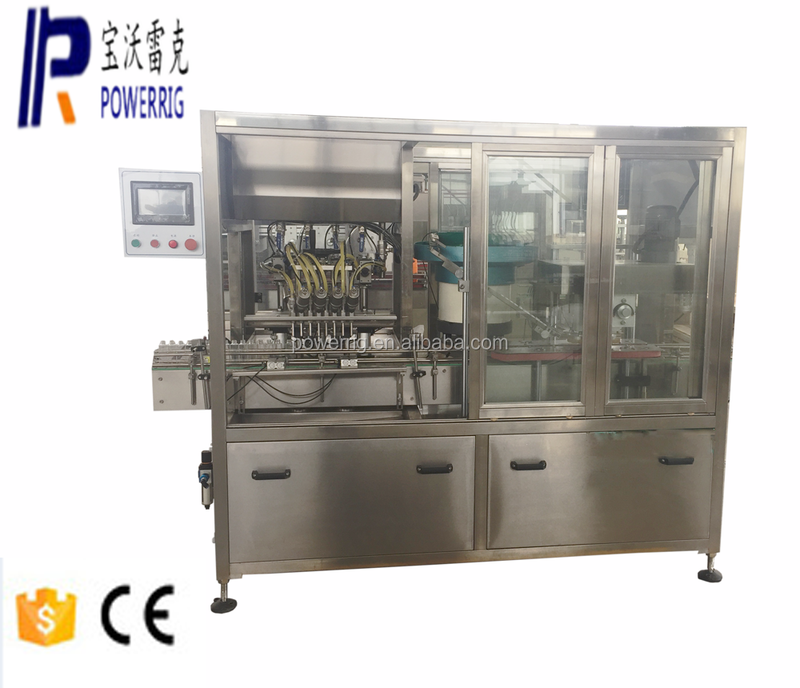 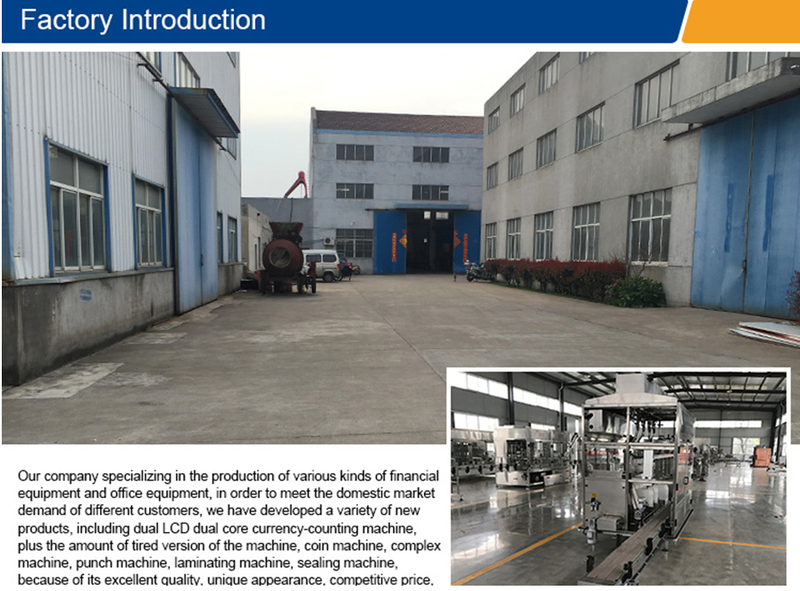 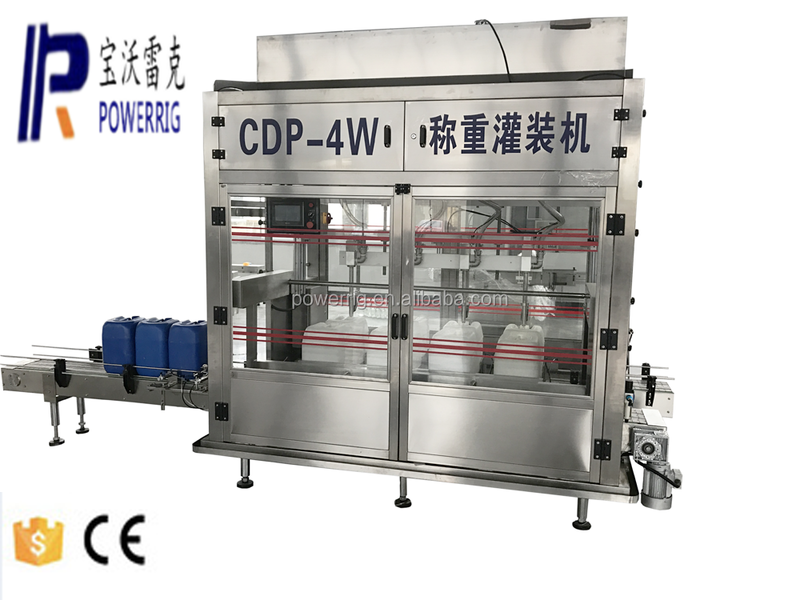 However, if the product is foamy, the time gravity filling machine may not be as efficient as the overflow filling machine for filling containers especially with small openings. 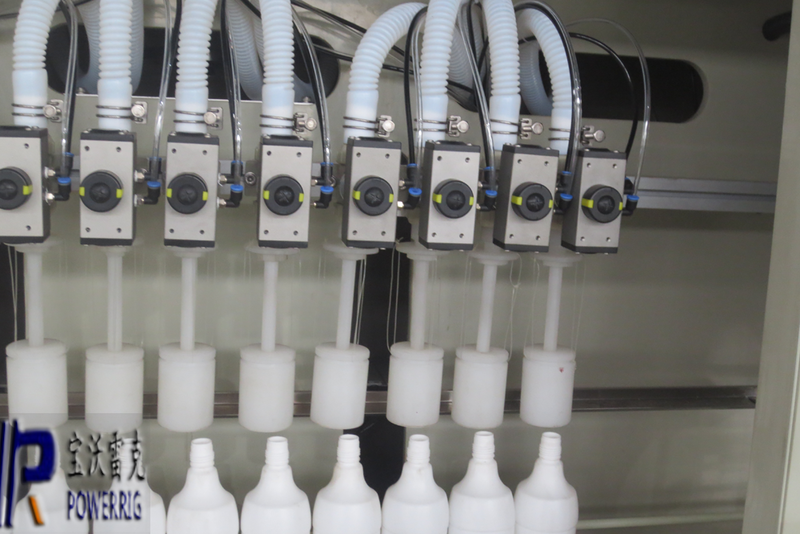 Although time gravity filling machines can be configured with subsurface and "bottom up fill" filling nozzles to control foam in smaller containers, this configuration does reduce throughput. 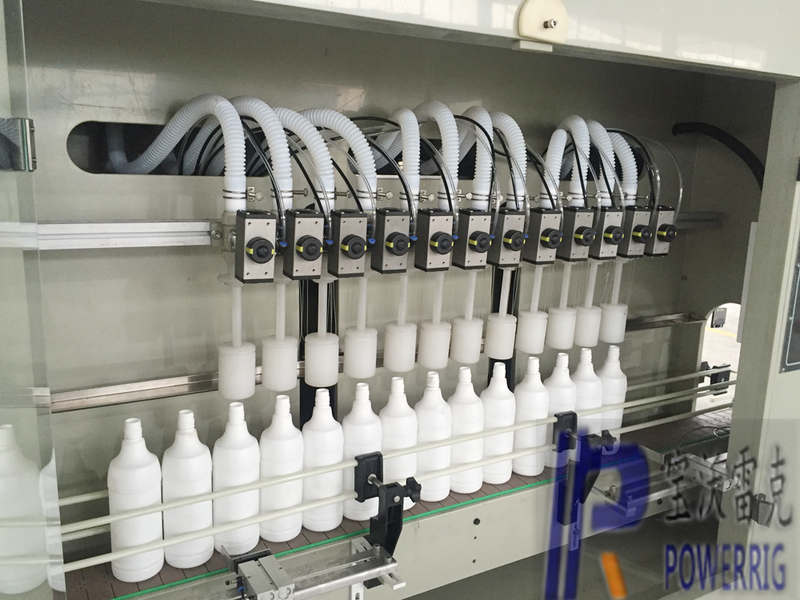 On large containers filling either foamy or non foamy chemical products, the time gravity filling machine with subsurface filling capability is a very practical machine to use since the overall throughput requirement on bulk containers is usually low. 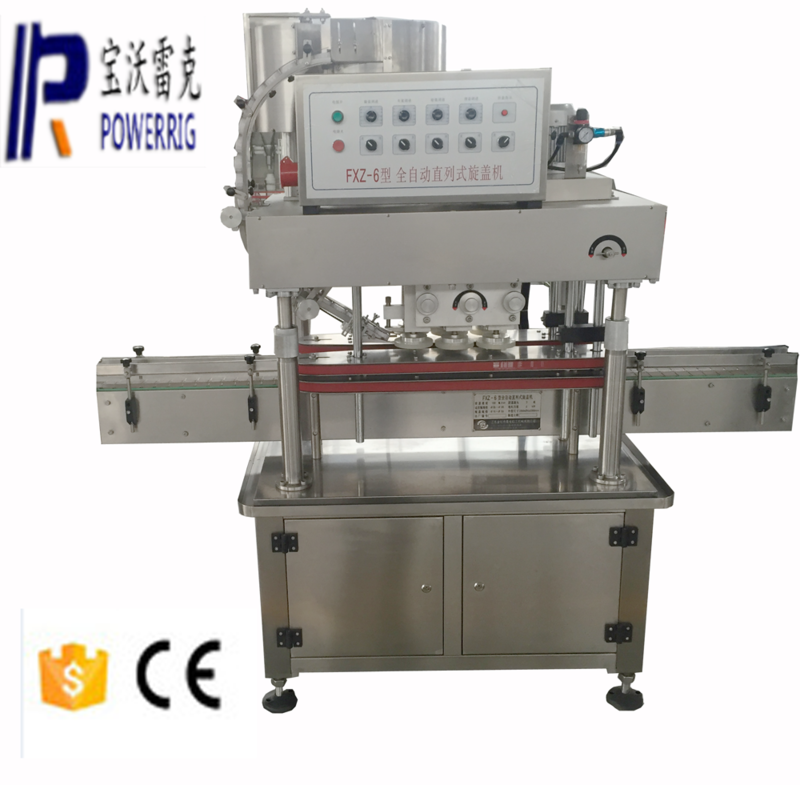 Time Gravity Filling Machines are also preferred where it is not practical to pressurize or recirculate dangerous chemical products like corrosives or explosives. 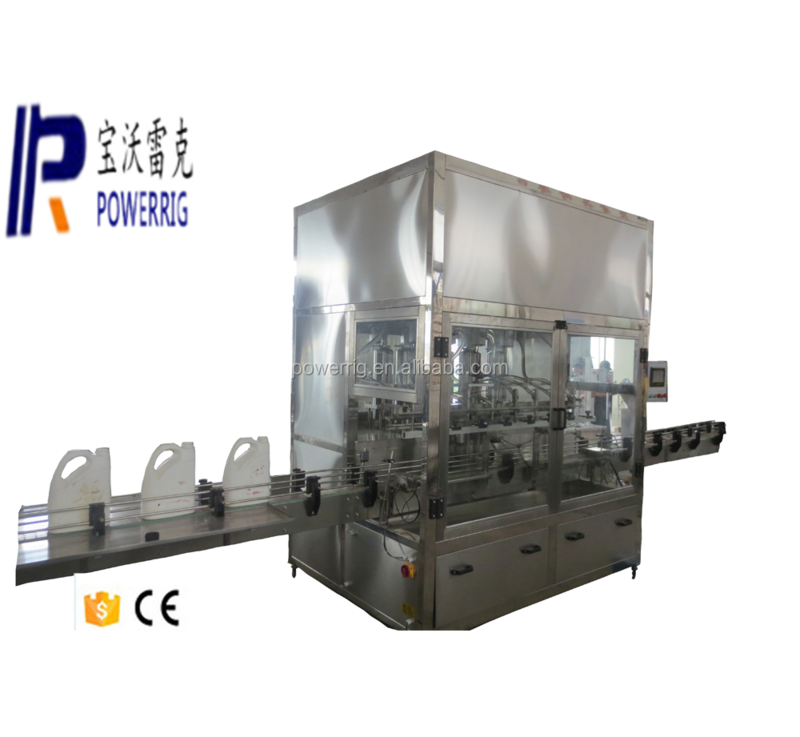 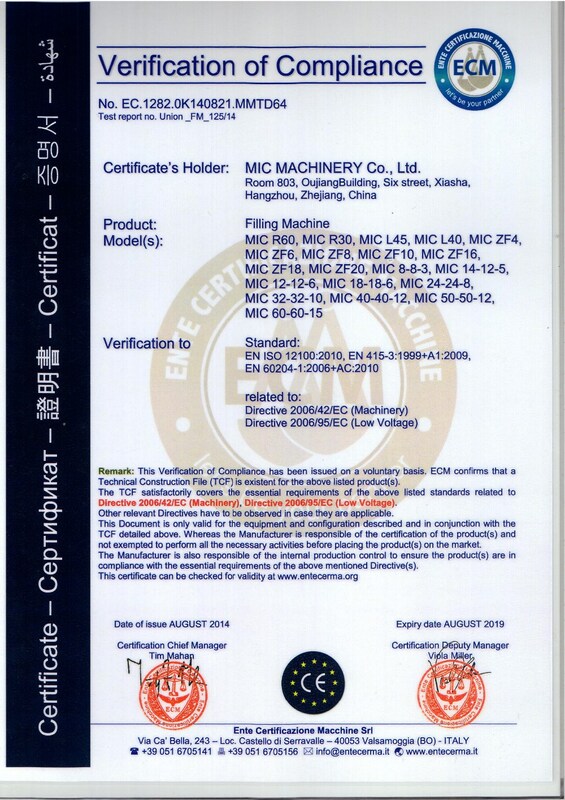 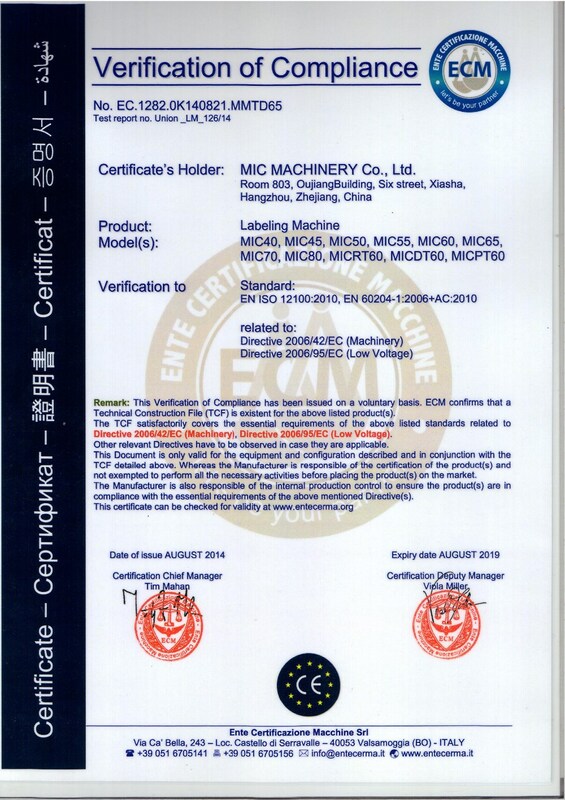 For more information about this, see the section of hazardous location and corrosive filling machines. 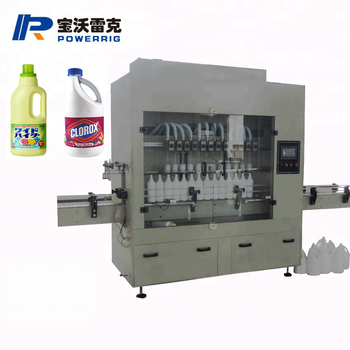 The materil with lower viscosity , such as bleach,corrosion liquid , toliet cleaner, diswashing liquid , liquid soap , detergent ect. 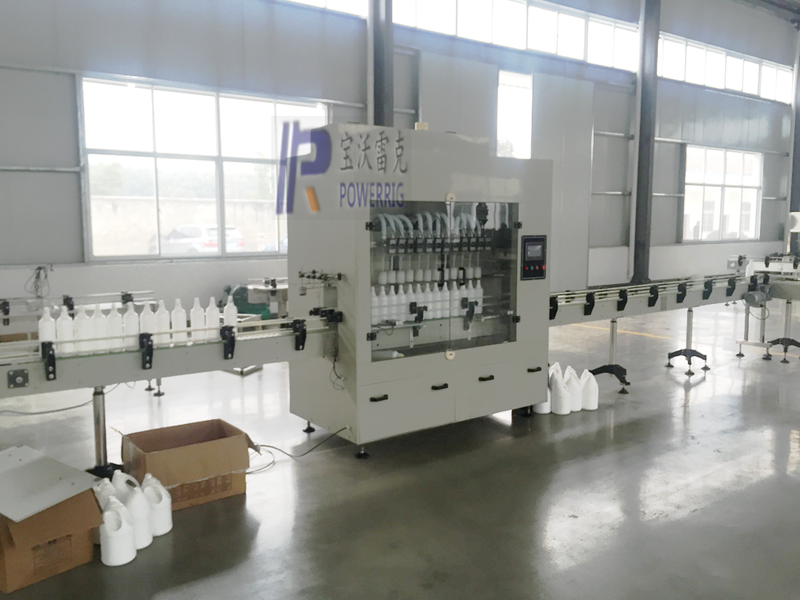 Each filling nozzle add bottle fix device on the filling nozzle part, ensure when filling material, the bottle is fix in a right position, the filling nozzle use PP material customize, anti-corrosive and anti-drop. 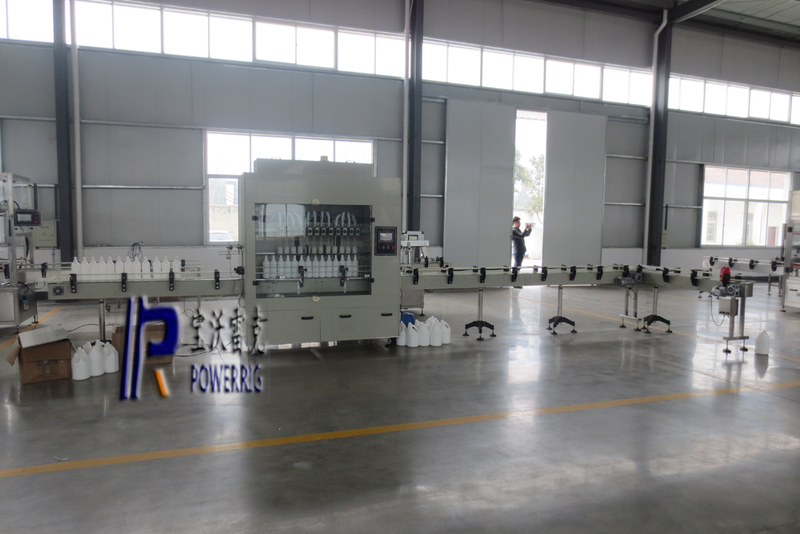 Length can customize according to different bottle. 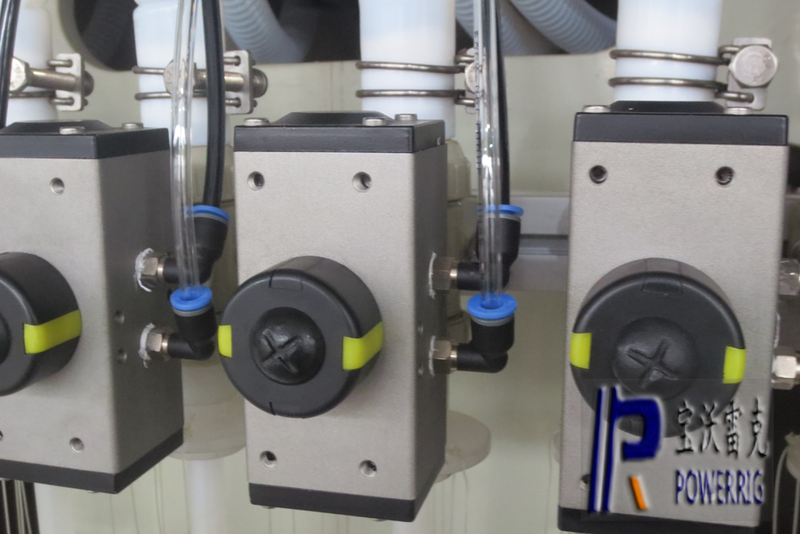 Adopt VAA filling valve with high filling precision and no leak and corrosion . 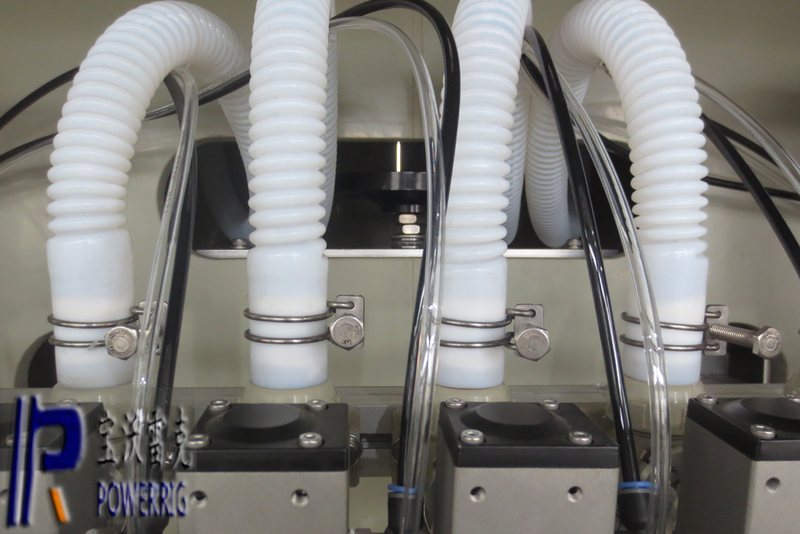 Long Life Anti Corrosive filling pipe to prevent corrosive liquid to break the pipe . 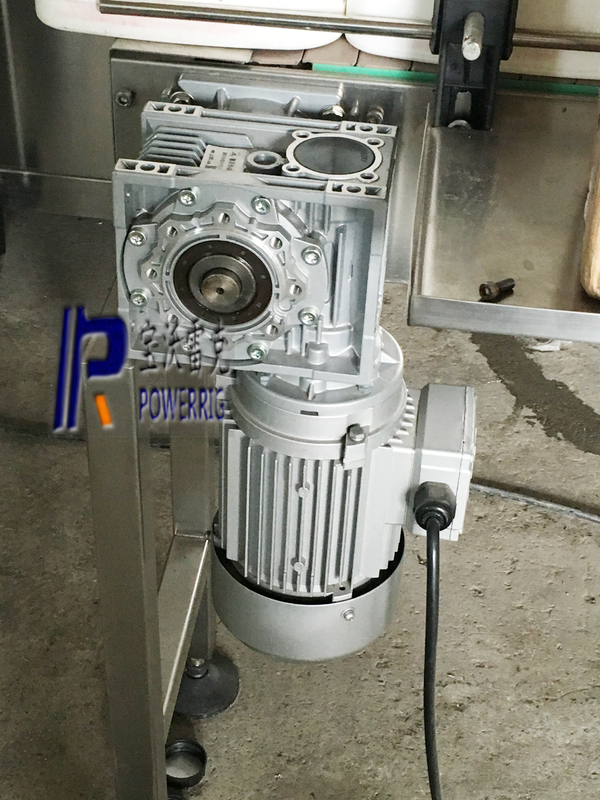 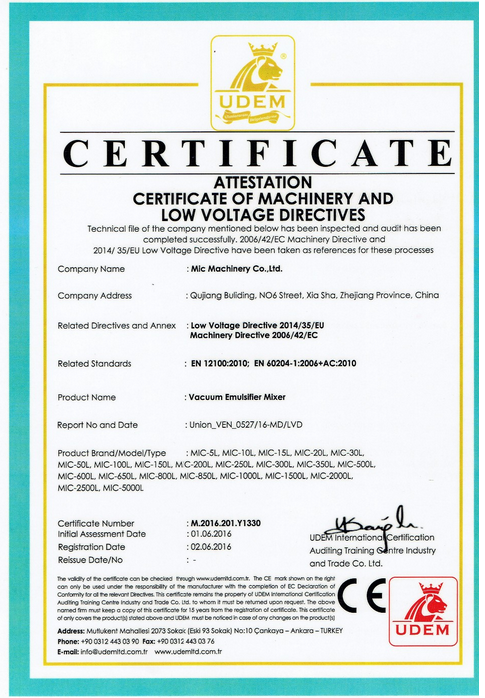 Power head is mainly for the entire pipeline transmission power for the whole line . 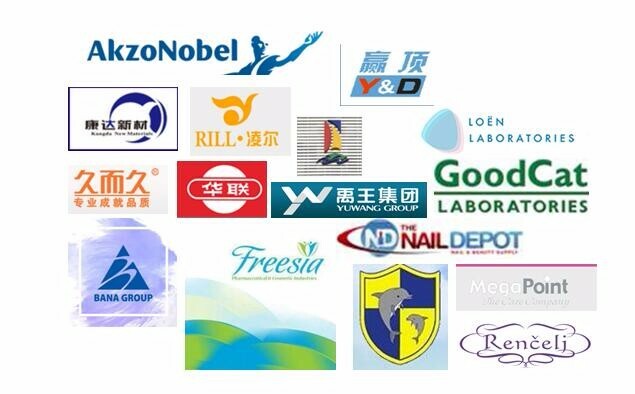 4.Design packaging sulotions ,based on clients' requirements. 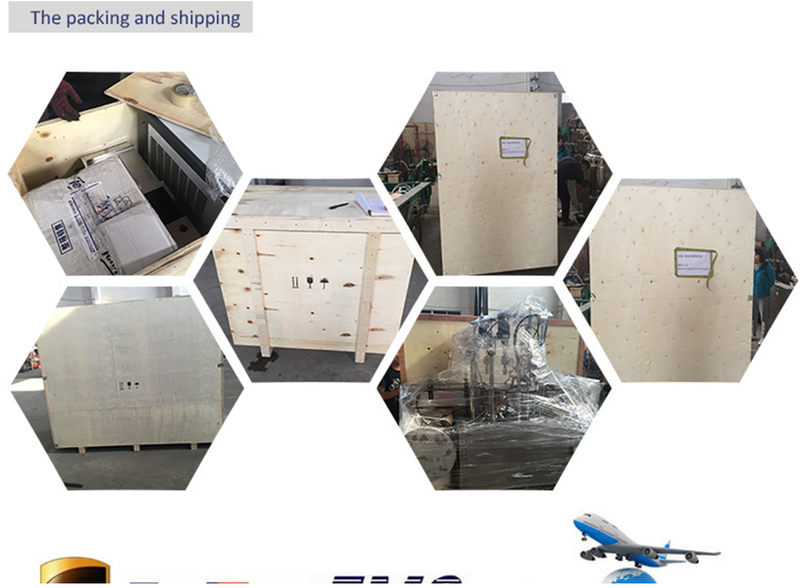 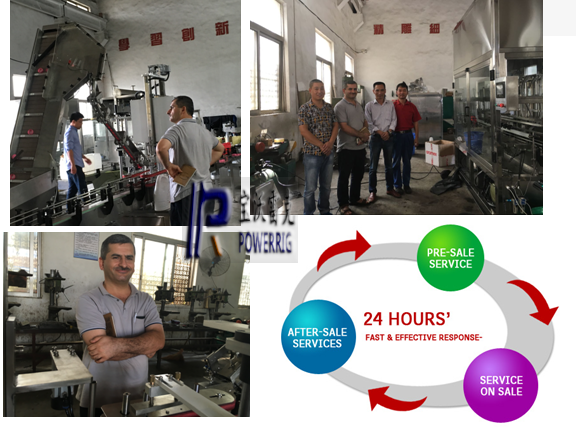 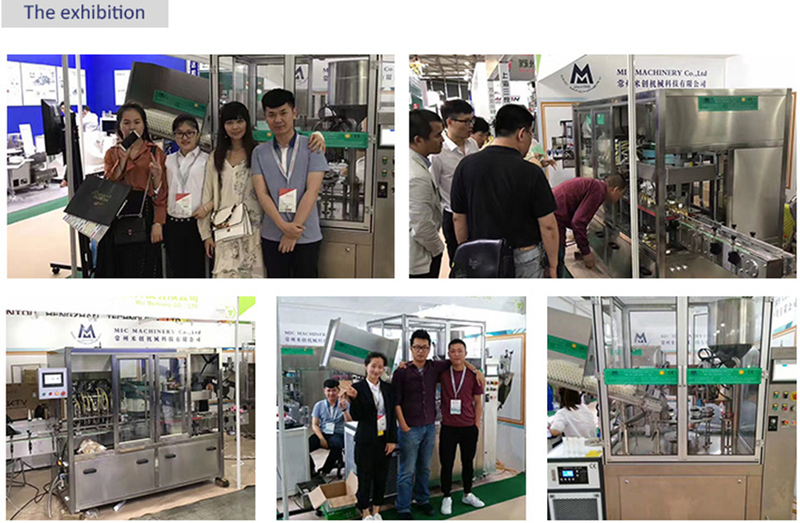 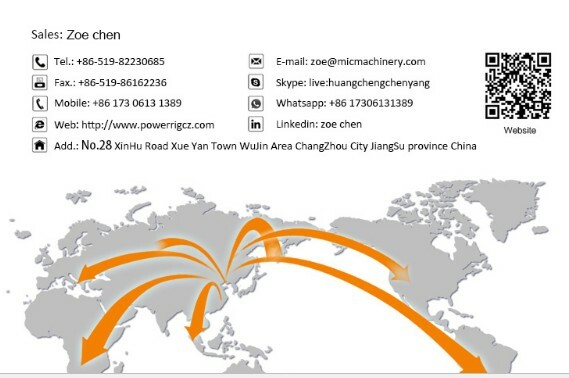 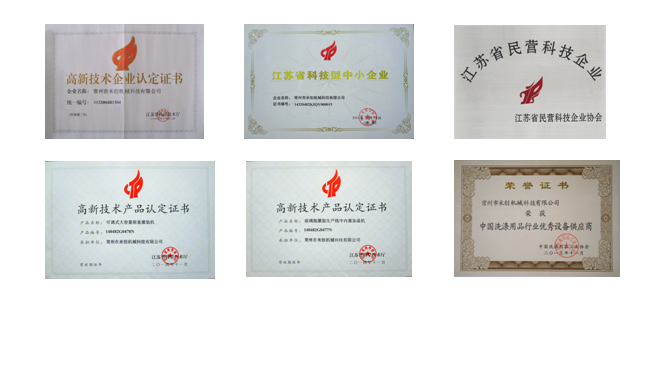 Our factory has full-time merchandiser who will update all our clients' order condition from our producing line each day,then our salesman will keep clients updated of the production each week by E-mail,Phone call ,photos or Video.